Do you plan on starting your blog, yet you’re so confused on the right blog platform to host it? I got you covered with this solid list of blog sites and their installation guides. If I want to add a membership site to my blog later, will it be possible? Will the blog’s framework break down completely assuming I included an e-commerce section on my website? Can I place ads on my blog and earn a few bucks? What if I want my blog posts to rank on Google, does my blog platform possess SEO functionalities? Who knows, I might become extremely skilled in my field someday. Can I sell online courses and integrate with third-party payment platforms on my blog? All these and more are valid questions every potentially successful blogger asks before creating a blog. By the way, you’ll need to generate traffic to your new blog if it’s to survive and generate income for you. Get my Traffic Blueprint For New Blogs to help you with that. Most bloggers started a blog because they hoped to live the ‘laptop lifestyle’ and make money blogging. Others created a blog where they can write about their passions. Taking their blog to a commercial level is not at the top of their priority at all. Those are who you call hobbyist bloggers. If you want to make money from blogging, it’s best to go with WordPress.org, Wix, Blogger, Squarespace, Weebly, Joomla, and Drupal. WordPress.org is a self-hosted blogging platform that powers 30% of websites online. It’s the go-to option for any blogger who hopes to make a full-time living blogging. Wix is a website builder that allows you to create professional websites without any knowledge of coding. It’s a good alternative to WordPress.org and makes it easy for bloggers to monetize their blogs. So also is Squarespace, Blogger, Joomla, Weebly, and Drupal. You can sell your products and courses on these platforms with ease. If you don’t have any products to sell yet, you can place ads on them and start earning with your blog. For hobbyist bloggers, instead of spending money annually on a domain name and web hosting on the above-listed blog platforms, you can opt for free blog sites. Some of these free blog platforms have an existing audience that is ready to consume the heartfelt write-up that you’re dishing out. Examples of these are Medium, Tumblr, and Quora. However, there’s nothing stopping you from owning your website if you feel that’s what you want. It’s just that you’ll be spending money and not making any in return. If it makes you feel better, think of your hosting costs as a ‘price to pay’ for doing what you love. The ability to scale and add new features to your blog as it grows is where WordPress.org beats them all hands down. WordPress.org is different from WordPress.com. WordPress.org is a self-hosted platform that has thousands of plugins to customize your blog and add the functionalities you so desire. You can easily add features like forums, membership site, online store, job board, into your WordPress.org blog. WordPress.org gives you the flexibility to change the direction of your blog as it grows in authority and popularity. On the other hand, WordPress.com is a free blogging site that provides limited customizable options. Functionalities such as adding a custom theme to your blog, editing HTML, and plugins are not available. Most beginner bloggers usually start out with WordPress.com, get frustrated with the limited options and the extra “.wordpress.com” added at the end of their blog URL. They wonder if this is the great WordPress people rave about. Not until they later learn about the difference between WordPress.com and WordPress.org. Then they switch over to WordPress.org and see for themselves the power of the great WordPress they’ve often heard and read about. While WordPress.org is entirely yours, WordPress.com belongs to WordPress. Your blog can be deleted at any time without your permission if it goes against their user guidelines. I’m going to show you how to install each of these blogging platforms. WordPress.org is the most popular blogging software for millions of bloggers around the globe. It powers one-third of all websites on the internet. A blog built on WordPress.org has lots of room for expansion. It has thousands of free advanced and updated plugins. WordPress.org software itself is always being updated. It also makes room for URLs or permalink of posts and pages to be customized, usually for SEO purposes. For example, www.officialbryangrey.com/2019-03-04/example-blog-post/ can be changed to www.officialbryangrey.com/example-blog-post/. Short and sweet URLs like that rank higher in Google than those cluttered with dates and numbers. The only thing you have to be mindful of when creating a self-hosted WordPress.org website is that you have to manage your backups yourself. Unlike WordPress.com where backups are handled by WordPress, the welfare of your WorPress.org blog is entirely up to you. WordPress.org is actually free, but you’ll need to purchase a domain name and a hosting plan before you can install it. The domain name at Namecheap is around $14.99/year while hosting at SiteGround comes with a special price that starts from $3.95/month. The easiest way to install WordPress.org is by 1-click installation in your cPanel’s web hosting account. So, before we start installing WordPress, we’ve to first purchase our domain name and web hosting plan. Namecheap is the world’s most popular domain name registrar. Though you can purchase a domain name with hosting companies like SiteGround and Bluehost, I recommend you get your domain name from a trusted company that specializes in selling domain names. Head over to Namecheap and insert the name you’ve dreamed of using for your blog to see if it’s available. After you plug in the domain name you want like, www.sampledomainname.com, click on the search icon. You’ll know if it’s available when there’s a ‘good’ checkmark sign. If not, there’ll be a ‘bad’ checkmark sign looking like “x”. Now, you can add to cart and complete your purchase. Get your domain name with Namecheap here. Next stop is your web hosting. Your choice of hosting is the most critical decision you’ll make when starting a blog. It’ll affect your SEO, blog income, reduce or improve site loyalty, and traffic. Your hosting determines how fast your site loads. Google takes page speed into consideration when ranking websites. Simply put, page speed is one of Google’s ranking factors. A slow website speed causes your blog to rank lower than other sites in Google’s organic search and ruins the overall SEO of your blog. Not only that, there is a correlation between fast page speed and revenue. Amazon noticed that for every extra second it took to load their website, they had a 1% decrease in revenue. Your customer satisfaction should be a top priority, as visitors confess that a quick page load time is important to their site loyalty. With a super-fast page speed, visitors won’t need to wait forever when loading your blog, Google will love you and send you more traffic, and the results will reflect in your growing blog income. That’s why I’ll choose SiteGround if I have to create a blog all over again. SiteGround specializes in boosting the website speed of its customers. In the spirit of always being a step ahead, they already have a solid caching plugin called SG Optimizer. SG Optimizer is a powerful caching plugin available to all SiteGround customers to supercharge the page load time of their blog. It is built to enable different levels of caching. Here’s how it looks like in your WordPress dashboard. The end result of it is a super-fast WordPress blog built on a solid hosting. Here are testimonials from customers that have experienced an increase in website speed, and you can check out all the reasons why I love SiteGround here. Most bloggers start out with a weak hosting company, then migrate to a superior hosting when they know better. The stress of migration is hell. Avoid that turbulent hassle by starting out with superior hosting service from day one. Get your hosting with SiteGround. After getting a domain name, you purchase your hosting next. Hop on to SiteGround and choose a hosting plan. GrowBig is the best option when starting a new blog. After you’ve chosen your hosting plan, you’ll be required to enter the domain name you already have. Insert the domain name you purchased from Namecheap. In case you want to buy a domain name from SiteGround, click on “Register a New Domain” and enter your desired domain name. Then click on “Proceed” to complete your hosting purchase. Next, you’re going to update your name servers. To get your name servers, login to SiteGround. Go to “My Account” and open your cPanel. A pop-up will appear letting you know that your cPanel is being accessed securely. Click on “Proceed” to continue. In your cPanel, you’ll see your name servers by the right. They are two in number. Copy them somewhere and open Namecheap in a new tab. Scroll down to the “NAMESERVERS” section and change the default name server to “Custom DNS.” Insert your two name servers in the spaces provided. Click on the ‘good’ checkmark sign beside Custom DNS to save changes. You can now sign out of Namecheap. You’ve successfully updated your name server. We’re one step away from installing WordPress.org. Just before creating your WordPress.org website, you have to install an SSL certificate to use for your website. SSL certificate makes your domain name secure with an added “s” to the “HTTP.” Your domain name now looks like this, https://www.yourdomain.com instead of http://www.yourdomain.com. If you sell products or courses on your blog, a secure domain is necessary for establishing the security of credit card transaction, the credibility of your site, and trust. Most customers now take a quick glance at your blog’s URL to check if it starts with https, so they can determine if it’s safe conducting an online transaction on your blog before they complete checkout. Even Google favor sites with secure domains better than those without a secure HTTP domain. Luckily, SiteGround comes with a free Let’s Encrypt SSL certificate. Login to your cPanel, and click “Let’s Encrypt” under the “Security” section. Select your domain and click on the “Install” button. A pop-up box displaying a success message will let you know that you’ve successfully installed Let’s Encrypt SSL Certificate. You have to enforce Let’s Encrypt SSL Certificate on your website so that your blog can only be accessed over an HTTPS connection. Toggle “HTTPS Enforce” to ‘On’ and click on the “OK” button. With this, you have a valid SSL certificate and secure HTTPS protocol running on your sweet blog. Now, we can finally install WordPress.org. In your SiteGround’s cPanel, scroll down to the “Autoinstallers” section and click on the “WordPress” logo under it. You’ll be taken to a page to customize the setup information for your WordPress.org software. In the field for “Choose Protocol,” change it to “https” since you’ve already installed Let’s Encrypt SSL certificate. If you’ve not yet installed your SSL certificate, scroll back up and check out the steps I outlined to install one. Leave the field for “In Directory” empty and enter the information for your site name and site description. Your site name and site description should be carefully chosen, as Google will use it when displaying your site in search results. However, you can always change it later in your WordPress admin dashboard. Move further down to the admin section and type in your admin username, admin password, and admin email. Store your admin username and password somewhere safe because you’re going to use it to log in to your WordPress admin dashboard from now on. A congratulatory message will be displayed containing the link to your WordPress admin dashboard. The link is usually in the format of https://www.yourdomain.com/wp-admin/. Save it somewhere until you memorize it. The link will take you to the login page of your WordPress admin dashboard. Here’s how it looks. Now you can log in with your admin username and password. Wix is a freemium website builder that allows users to create professional sites with easy to use drag and drop builders. It has over 110 million users worldwide. You’ve probably seen a Wix website when you viewed the blog of local businesses around you. One good thing about Wix is that the websites are mobile-responsive. It allows you to customize the mobile version of your site separate from the desktop version. Wix also has an app market where features such as live chat, testimonials, reservation and booking, pricing tables, can be integrated into the blog. The Israeli web development platform earns its revenue through premium upgrades. Starting a website on Wix is free, but it shows branded advertisements and logos that would only leave when you upgrade your account. Another not-so-good side of Wix is that once you’ve chosen a template, it’s not possible to change it. You’ll have to create a new site with the new template you want. Wix is generally easy to set up and is a good runner-up to WordPress. You can create a free site on Wix, but the URL will have a “.wixsite.com” extension. For example, https://www.yourdomain.wixsite.com. You can get rid of that amateurish extension by purchasing a custom domain for $4.50/month. Their premium plans start from $8.50 to $24.50. First, you need to create an account with Wix. After you’ve created your account, click on the “Create New Site” button. You’ll be asked what kind of website you want to create. For the purpose of this post, I’ll assume you want to create a blog. If you want to create photography, online store, music, food, beauty, and wellness website, go ahead and select it. Now, you can choose if you want to create your website from scratch with the Wix editor or answer a few questions and let Wix create a custom website for you based on your answers. I’ll go with the option of creating your website with the Wix editor. We can choose an existing template and personalize it to our ideal brand’s look and feel. You’ll see a list of beautiful ready-made templates. Hover over your desired theme and click on the “Edit” button that appears. You’ll be taken to the visual drag and drop website builder. You can now arrange the elements in your website the way you want and click on the “Save” button at the top-right corner. When you want your blog to go live, click on the “Publish” button beside the “Save” button at the top-right corner of the website builder. After you’ve created your website, you can upgrade to a premium plan to eliminate that “.wixsite.com” extension from your blog URL and make your website link look more professional. Create your Wix website here. WordPress.com is the free version of WordPress.org. Unlike WordPress.org where your blog is hosted on your own server, WordPress.com is hosted on WordPress servers. It’s a great option for beginner bloggers to start out with. Despite its limitations such as the inability to install plugins, edit HTML, and use custom themes, it’s still popular among millions of bloggers around the world. In fact, I’ll advise anyone that wants to start a blog to create a free WordPress.com blog first and mess around with it for a week, before spending money on a domain name and hosting for a professional WordPress.org blog. Spending time on a WordPress.com blog greatly reduces the learning curve and provides some level of experience to draw from when you’re finally ready to create your self-hosted WordPress blog. WordPress.com offers premium upgrades like getting a custom domain name, additional storage space, and other high-end offers. The most notable thing, however, is the sheer volume of WordPress tutorials out there and the vast community of WordPress users who are always ready to provide amazing support and help out whenever they can. You won’t feel alone on your blogging journey. There is an awesome sense of community among WordPress bloggers you can’t find on any other content management system. WordPress.com is extremely easy to set up. The drawback is that if you use the free version without purchasing a custom domain name, your blog’s URL will have a “.wordpress.com” extension attached at the end of it. It’ll look like this, https://www.yourdomain.wordpress.com. Also, you cannot make money by displaying banner ads on your blog. As a matter of fact, you can’t put up ads in the first place. Only WordPress is permitted to run their ads on your website. You can see that your blog is not truly yours on WordPress.com. Nevertheless, it’s an awesome blog platform for complete beginners. WordPress.com account can be used for free. However, branded WordPress ads will be displayed across your website. To eliminate those ads and possess your custom domain name, you’ll have to upgrade to their Personal plan of $5/month. You can get more design tools and extra storage in their Premium plan that runs at $8/month. Go to WordPress.com and click on the “Get Started” button. The next step requires you to enter a keyword for your blog. The keyword should encapsulate all that your blog stands for. Enter the desired name of your website in the next step. Insert the URL you want for your WordPress.com blog. Example of a URL is https://www.yourdomainname.com. After entering the domain name that you want, you can choose to pay for it or get it free. The free domain name comes with an extension of “.wordpress.com” or “.home.blog” while the paid domain name allows you to use only the“.com” extension at the end of it. Let’s say you enter https://www.bloggingsuite.com/ as your site address. If you pay for it, you can retain the blog address as it is. With the free version of the domain name, however, it’ll look like https://www.bloggingsuite.wordpress.com or https://www.bloggingsuite.home.blog and lack professionalism. Alternatively, if you want a free domain and prefer the “.wordpress.com” extension, close the current page now, open a new WordPress.com tab and you’ll be logged in automatically with your website URL looking like https://www.bloggingsuite.wordpress.com. If you opt for a free domain name, then your website should be ready in no time. But if you want to purchase your own domain name, keep reading. Click on the “Select” button where your domain name is displayed with a “.com.” You’ll be taken to a pricing page. Make your purchase and you should be taken to your WordPress.com website. For free WordPress.com users, close this page and go to WordPress.com, you should be logged in already with your URL looking like this, https://www.bloggingsuite.wordpress.com. Now you can start creating posts and adding different pages to your blog. You’ve successfully created a WordPress.com website. Squarespace is a website builder that has earned a place in the hearts of many online business owners because of the sheer beauty of the websites they create. The classical, and sometimes minimalist designs are crafted for professionals to easily showcase their work in the most beautiful way possible. Squarespace comes with a free SSL certificate, responsive mobile design, and is very easy to set up. There are over a million paying subscribers currently using Squarespace. After taking a look at the themes and templates, it’s easy to see why this blog platform is rising in popularity. The ‘not-so-good’ sides of Squarespace are the limited support for themes and plugins, and the fact that Squarespace is restricted to the features built into the platform. It has no room for adding features and functions to your website as your brand grows. Overall, you just can’t beat the ease with which it takes to set up an outstanding website that has a premium feel to it. Squarespace has a free 14-day trial. Their personal plan starts at $16/month. Business plan starts at $26/month or $216 per year. Click on the template images and the page will automatically scroll down to the point where you can select a template or theme. You’ll see amazing themes displayed in a grid-like format. Hover over any one of them and click on the “preview” button if you want a live demo or the “start with” button. You’ll be required to create an account if you want to start with any of the themes. Fill in the details for your first name, last name, email, and password and create your Squarespace account. After you create your account, you’ll be taken to your website’s dashboard to customize how your site will look like. The customization includes the site title, pages, and designing the homepage. With this, your Squarespace site has been installed. You’ll be required to upgrade your site after the 14-day trial period is over. Weebly is a blogging platform that makes it easy for small businesses to build their blog and website together, instead of building it separately. It makes use of drag and drop tools to design and customize a website without having to splash a line of code. As a website builder that powers over 40 million websites, Weebly also takes care of handling their customer’s email lists. 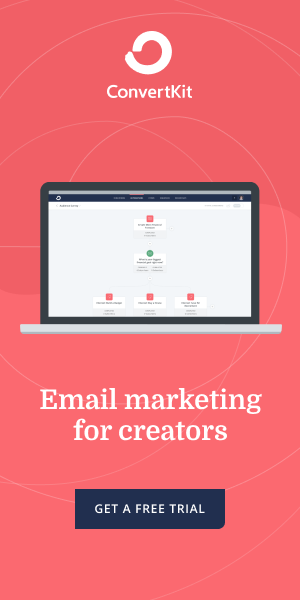 Email marketing software like ConvertKit, Aweber, GetResponse, are not needed by Weebly users. Weebly has a feature called Weebly Promote, that sends out email campaigns to subscribers. That’s a nice competitive advantage they got there. Weebly Promote does the same thing as other email marketing software, such as email segmentation, email drag-and-drop builder, tests and scheduling. It’s not hard for digital marketers to fall in love with Weebly, over and over again. Weebly can be installed for free with a subdomain that looks like, https://www.yourdomain.weebly.com. Weebly’s premium plans start from $5.00/month. To unlock all functionalities and features, you’ll need to pay $25.00/month. There are three kinds of pricing plans for online stores. They cost $12.00/month, $25.00/month, and $38.00/month. Open up a new tab for Weebly and click on the “Create Your Website” button. Choose between creating just a website or a website with an online store. I’m going to go with the option of opening just a website. You’ll be taken to a page where you can select your theme. Click on the one that resonates with you. The preview of the theme you chose will be displayed. To start editing and customizing it to how you want it, click on the “Start Editing” button at the top-right corner of the screen. If you already have a domain name, click on the “connect or transfer it now” link at the bottom of the popup box. I’m going to insert a domain name that goes like this, https://www.mengotit.com. There’s a professional version that leaves this domain name as it is. There’s also a free version that looks like https://www.mengotit.weebly.com. Choose the domain name you want, professional or free. I’m going with the free version. You’ll receive a message that your domain setup has been completed. Click on “Done” in the top-right corner of the popup box. You’ll be taken to the website builder where you can customize your site with different drag and drop tools. Click on “Publish” when you’re done. Weebly has been successfully installed. You can type in your domain name on your browser and your sweet website will show up. Blogger is a free blog-publishing platform owned by Google that allows users to place Google Adsense immediately on their blog and start earning through ads. It is very easy for beginners to use. I started out with Blogger at first, moved to WordPress.com, grew out of it and finally settled for WordPress.org. The dashboard contains basic blog elements like arranging layout, editing HTML, blog comments, and widgets. The ease with which a blog can be set up with Blogger causes ‘making money from home’ fantasies rush through the mind of a beginner blogger. As time goes by and the newbie blogger learns more about blogging, he’ll eventually grow out of Blogger and move to WordPress. The reason for this is because Blogger lacks advanced plugins and tools that solve crucial blog issues for SEO and other integrations a webmaster might need later on like membership sites, online stores, job boards. Blogger is also not updated frequently and a blog could be suspended by Google without warning. Nevertheless, Blogger has solid security and reliability from being hosted on Google’s servers. Blogger is free with a subdomain name that looks like, https://www.yourdomain.blogpost.com. If you want your own custom domain like https://www.yourdomain.com, you’ll need to purchase your domain name from a third-party domain registrar like Namecheap. First off, make sure you’re signed in to your Google account. Then go to Blogger and click on “CREATE YOUR BLOG” button. You’ll be taken to an empty dashboard alerting you that you’re not the author of any blog yet. Click on “CREATE NEW BLOG” to begin. After this, you’ll be required to enter the name and address of your blog. When you key in the information, choose a theme of your choice and click on the “Create blog!” button. If you want a custom domain name to get rid of the “.blogspot.com” extension, you can always purchase a domain name from Namecheap and change your blog address later. After you’ve chosen a theme and created your blog, you’ll be taken to your Blogger dashboard. To use a custom domain name you’ve purchased, go to your dashboard in Settings>>Basic and click on “Set up a third-party URL” under your blog address. You’ve just created a brand new blog with Blogger. Nice one. Joomla is a self-hosted, content management system similar to WordPress.org. It is a powerful blogging platform that’s capable of integrating various apps into your website. It allows a blog to scale and expand with added functionalities as it grows. Started in 2005, Joomla now powers roughly 58 million websites worldwide. However, Joomla dashboard has more of a learning curve than that of WordPress. Nonetheless, many large corporations prefer to use Joomla to power their websites. Joomla is not a good option for newbie bloggers because it’s expensive. Though the first month of using Joomla is free, you may find yourself spending $20-$100 per month depending on the number of upgrades you want for your blog. That’s too much startup funds for a beginner blogger. Besides, Joomla’s community is much smaller than that of WordPress. The level of support you’ll get from Joomla can’t be compared to WordPress. As a self-hosted platform, you’ll be responsible for managing your backups, security, and updates. You’ll need a domain name from Namecheap that’ll cost you $14.99/year and hosting that starts from $7.99/month. With SiteGround, you can get a free domain name and a hosting package that starts at $3.95. Joomla can be installed in your hosting cPanel’s account. If you use SiteGround, head into your cPanel. To open your cPanel, login to SiteGround and go to “My Accounts.” Then click the “Go to cPanel” button. Once in your cPanel, scroll down to the “Autoinstallers” section and select Joomla. Then you click “Install” to start Joomla installation. Select “Joomla 3” from the dropdown menu and leave the installation folder empty if you want Joomla to be installed in the root directory of your hosting account. Choose your username and password that’ll be used to login to your Joomla dashboard. You can also enter your email address. When you’re done, click the “Install” button below. Your Joomla site will be installed in a few seconds and just like WordPress.org, you’ll receive your login information. That’s how Joomla is installed. As a platform that prides itself in being a full content management system, they are extremely customizable with thousands of free plugins to choose from. Drupal is used by 3.4% of all content management systems, and 1.9% of all websites worldwide. That being said, Drupal is not suitable for beginners. The difficulty of mastering the platform is a bit higher than Joomla and far tougher than WordPress. Bloggers that have a previous, working knowledge of a CMS are the ideal customers for Drupal, as beginner bloggers are likely to experience frustration and overwhelm when getting around the dashboard. Still, the popularity of Drupal keeps getting higher and higher. Drupal is free to install. All you need do is to pay for a domain name and hosting server to install it on. SiteGround, my favorite hosting provider, starts at $3.95. Domain names at Namecheap are around $8-$14. Most web hosting providers have no provision for 1-click Drupal installation. You have to manually install it on your hosting account. You’ll be taken to a page where you can download the installation file in a .zip format. Don’t worry about extracting the file yet. You can do that in your hosting cPanel. After you’ve downloaded the file, login to your SiteGround’s cPanel and click on “File Manager” under the FILES section. Click on “File Manager.” A little window will appear. Tick the box for “Show hidden files.” In the directory selection, check the box for “Web Root (public_html/www). The folder you’re opening is your public_html folder. You’re going to upload that Drupal installation file into your File Manager. Create a folder where you’ll upload the Drupal file into. Click on the “New Folder” icon at the top-left side of the File Manager menu. Give the folder a name related to Drupal so you can easily remember it. Click on “Create New Folder” when you’re done. I named my folder, “Drupal Installation File.” When you’ve created the folder, you should see it among the different folders in your File Manager. Take a step back to your public_html folder to see it. Double-click the folder to open it. That’s where the Drupal installation file will be uploaded to. Now, click on the Upload icon. Click on “Choose File” to select the Drupal installation file from your computer. Check the bottom-left corner to know if the upload is complete. It doesn’t take much time. Head back to your public_html File Manager and open the Drupal folder. You’ll see the .zip installation file inside. The next step is to extract the file. Select the .zip file and click the “Extract” icon at the top-right corner. A little window will appear. Make sure the destination path where the folder will be extracted is your Drupal folder. Go ahead and extract the file. Head back to your Drupal installation folder. Open it, select the newly extracted file and move one level up. The link for moving it one level up is directly above the file. Now that the installation file has been extracted, you’re going to create a MySQL user and database for Drupal. It’s not that hard. You can close your File Manager and head back to your cPanel. The next page is where you’ll create your database. The database always starts with the format of username_prefix. To locate your username on SiteGround, login and you’ll see it displayed at the top-right side of your account. Click on “Next Step” and you’ll receive a success message on the operation you just performed. After you’ve created your MySQL database and user, you’re on your way to completing the Drupal installation. Take a sip of water and relax a little. I know the process can be a bit draining. Luckily, you have this detailed, step-by-step blog post to guide you along the way. If you can’t complete it now, bookmark this blog post and come back when you’re refreshed in body and soul. Still mentally alert? Let’s march on. Open a new tab, enter your domain name and run the install.php file. Simply type in http://yourdomainname.com/core/install.php and you’ll start configuring your Drupal site. Next, you’ll select your desired profile for Drupal. I recommend you go with Standard profile. Save and continue when you’re done. Key in the details for the database you created earlier. Then save. Now, you can enter your site information and login details. You’re 99% done. Save your entries and prepare to meet your Drupal website. Your Drupal site has been successfully installed. Ghost is a simple and clean blog platform with a killer feature that allows you to preview a blog post while you’re creating it. Beginners will love it for its easy to use interface. Advanced bloggers will find the dashboard to be a refreshing escape from the usual technicalities found in most content management systems. Ghost was created purely for blogging and writing with its intuitive and clean user interface. The open source software has an interface that’s easy to fall in love with. They have a collection of awe-inspiring Ghost themes available for customers to choose from. The only downside to it is that installation can prove difficult. But hey, that’s why I’m here, right? Instead of using the self-hosted, troublesome method to install Ghost, we’ll install it using the Ghost.org hosted version. The self-hosted version requires a domain name that’s usually priced around $14.99. Domain names can be bought from Namecheap. It also requires hosting. SiteGround can take care of that as it starts from $3.95. The hosted version starts at $29/month. You’ll need to get a domain name in order to rid your blog’s URL of the “ghost.io” subdomain extension that comes with the hosted version. Open ghost.org and click the “Test it out” button. You’ll have the option of selecting a plan. However, let’s opt for the 14-day free trial they have to offer. Click on the “Start your free trial” button. Next, you’ll create your Ghost account and fill in your credit card details. Don’t worry, you won’t be charged now and you won’t be auto-charged at the end of your trial. It’s clearly written at the bottom of the signup form. Proceed to the next stage when you’re done. Your dashboard will appear. Scroll down and click on “Create new publication.” The publication is just another name for a website/blog. Fill in your site’s name and some personal info such as your full name, email address, and password. Ghost will suggest that you invite other collaborators by entering their email addresses. You can skip this step by clicking the link at the bottom. After you skipped this step, you’ll be taken to your website editor where you can customize how you want your blog to look and feel. That’s it for Ghost installation. There’s provision for any customization you make to be saved. I know you’ve found these list of blog sites awesome, as well as the installation guides contained. But do you know what’s even more awesome? Establishing a traffic blueprint for the new blog you hope to create. Google doesn’t send traffic to new blogs in the first six months after they were created. That means you got to find other means of getting traffic to your sweet baby during that timeframe. Download my Traffic Blueprint For New Blogs for a solid traffic plan before your blog goes live.